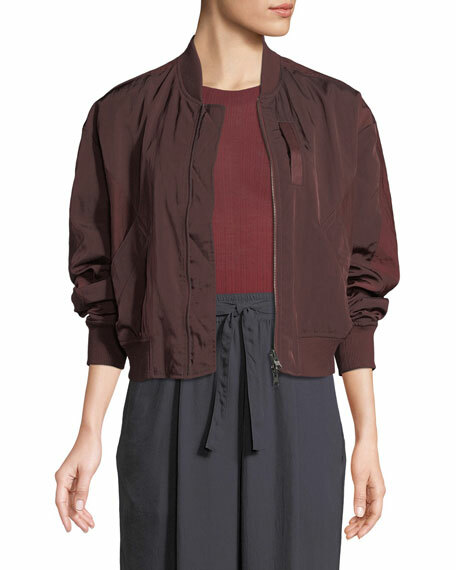 T by Alexander Wang jacket in nylon-twill. 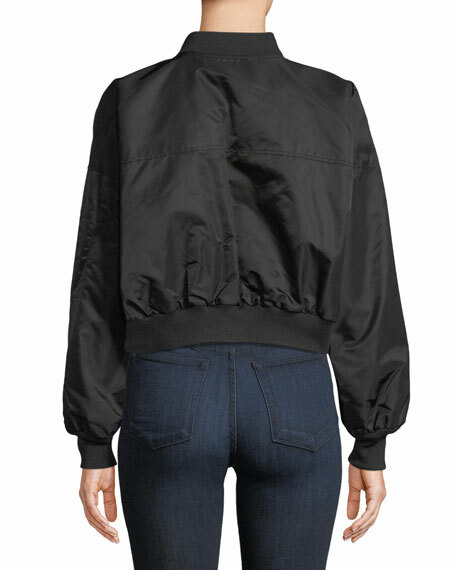 For in-store inquiries, use sku #2406052. 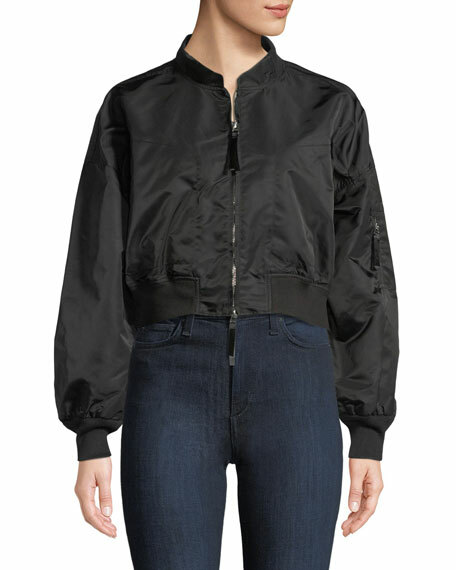 Vince bomber jacket reverses from taffeta to quilted satin. Baseball collar; zip front. Long sleeves; ribbed cuffs. Slip pockets. Relaxed fit. Ribbed hem. 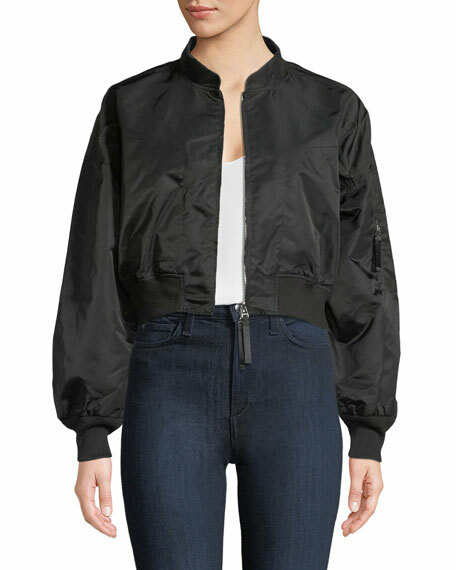 Polyester/nylon. Lining, nylon; rib, acrylic/wool/polyester/spandex. Machine wash. Imported.